Jasmine Hemsley is a London-based wellness and nutrition expert, co-founder of Hemsley+Hemsley, TV presenter, best-selling author, creator of East by West and champion of Ayurveda. 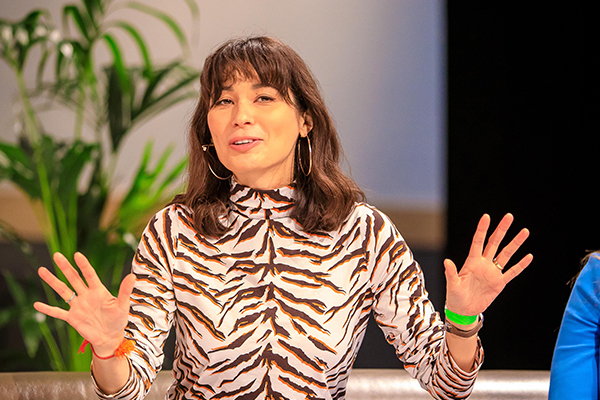 Through her work in food, health and wellbeing, she has inspired a global audience to shift their perspectives on food and lifestyle using her platform to encourage a 360-degree approach to health and return to a simpler, more mindful everyday life. Jasmine is the UK’s 18th top chef. Jasmine’s latest concept is East by West, an idea that came to life as a pop-up café, inspired by her travels in Sri Lanka and India. East by West realises Jasmine’s vision of Ayurvedic cuisine and wisdom. East by West the cookbook launched in November 2017, delving further into Jasmine’s passion for holistic Eastern foods and therapies, and which has since become an Amazon best-seller and winner of Women’s Health Wellbeing Book of the Year award.